The Bailsmen play hot gypsy jazz and vintage swing. Five years experience playing for rustic weddings, corporate events, speakeasies and Brooklyn backyard parties. Our classic sound is delivered with elegance, sophistication, and non-stop dancing. You and your guests will have a memorable night with The Bailsmen. Happy and relaxed vibe, very responsive, great to work with. they were wonderful to work with. Clear and responsive communication through phone and email. and I couldn't have asked for a better musical accompaniment to the celebration. The Bailsmen were total professionals. They hung back and created a great vibe during dinner and then really kicked in and got people moving in the later hours. Our guests spanning all ages loved the music and the unique vintage feel they added to our wedding. The Bailsmen were perfect for our December wedding reception. We didn't want a big wedding - no ceremony, less than 80 guests, not a large space for dancing, etc. - and decided to go with a jazz band. I found The Bailsmen online and loved their style and music. When I reached out to them, I found them professional, helpful, and responsive. As a bonus, they were already familiar with our venue. We couldn't be happier with our decision. The Bailsmen sent five performers - I believe based on the venue size - and they were incredible. The music was beautiful and lively, and so many of our guests came up to us during the reception to compliment the band. Beyond their standard playlist, and for a reasonable fee, they even incorporated a few Christmas songs into their repertoire. We couldn't be happier with The Bailsmen. I think my only wedding regret was not having more time to dance. I'd recommend them to family, friends, and strangers in a heartbeat; their website is very helpful for getting a sense of their style and talent. I booked The Bailsmen for my corp event cocktail party and they were amazing. Professional, reliable, friendly, and fun. They were a perfect addition to help create a festive and warm environment to the party. I'd book them again in the future. The Bailsmen played my wedding and were the perfect band for a summer outdoor wedding. They played cocktail hour, which the guests really enjoyed and then played for a few hours before our DJ and were able to create a nice ambience for dinner as well as play traditional songs like the hora and classics for some early dancing. If you like Gypsy Jazz and Swing as well as old time romantic music, this is the band for your wedding! The Bailsmen played our ceremony music and cocktail hour at our wedding. They were an absolute pleasure to work with. They were very professional and took care of all the details. They sounded amazing and we got tons of compliments on them from the wedding guests. They made the ceremony beautiful and the cocktail hour fun and exciting. My wife and I will be traveling into Brooklyn just to watch them play again! Couldn't be happier with The Bailsmen! My husband and I came across The Bailsmen during our wedding planning, and we immediately knew they were the unique blend of "gentlemanly, 1920's era jazz" that we were looking for. We had them play our happy hour, ceremony and cocktail hour, and we couldn't be happier with our choice to work with them - they were phenomenal and added a great depth to the guest experience. Our guests couldn't stop talking about them for days! They were great to work with and even arranged a special version of Pachelbel's Canon in D for the processional. Definitely book them if you can - you won't regret it! The Bailsmen played our wedding at Shadow Lawn in High Falls, NY. They did an absolutely fantastic job. All our requests were met. The music was well-performed, tasteful, and kept the crowd moving well into the night. I like yourself some Django, look no further. Don't second guess it...these are your guys. If you are looking to add some vintage flare to your party, look no further. The Bailsmen sound is amazing! They will transform you back in time and will be the talk of your event! We were looking for a band that would not only do a beautiful job playing slow songs but that would kick the energy level up a notch and make everyone at our wedding want to dance. The Bailsmen succeded admirably; so much so that our guests gave them a standing ovation at the end of their set. The Bailsmen were one of our favorite parts of our wedding. We would book them again in a heartbeat for any future events. The Bailsmen were fabulous... They were just the right fit for our annual Mardi Gras celebration. Personable, talented and so much fun. We can't wait to have them back!!!!! If you have the opportunity to book The Bailsmen, do so. You won't be disappointed. They kept the party going all night!!! Thanks Abe, Matt & Brandon.. hope to see you all soon. We are happy to tailor the band's instrumentation and playlist to make this a wonderful party. We can play as just a trio for the ambiance. For something a little bit more lively we can add horns, accordion, and singing. Let's come up with something unique to your event. 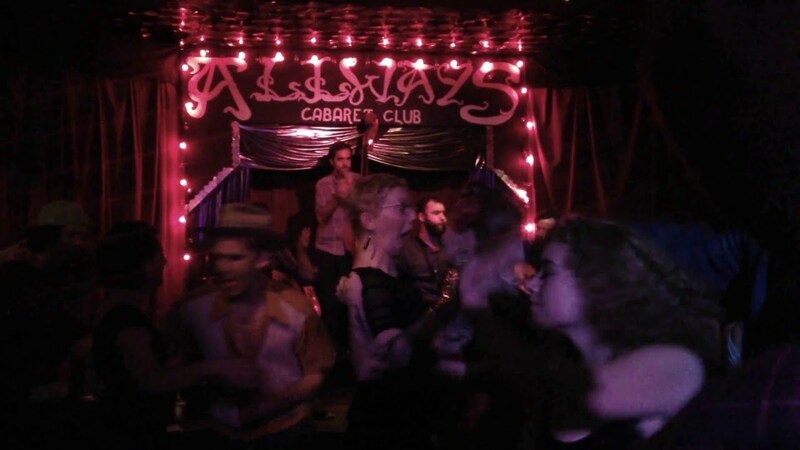 Brooklyn’s The Bailsmen play Gypsy Jazz and Vintage Swing, and are described as “fun, creative, and upbeat” by their fans. With over 200 events and concerts a year, the Bailsmen are New York's busiest jazz band. 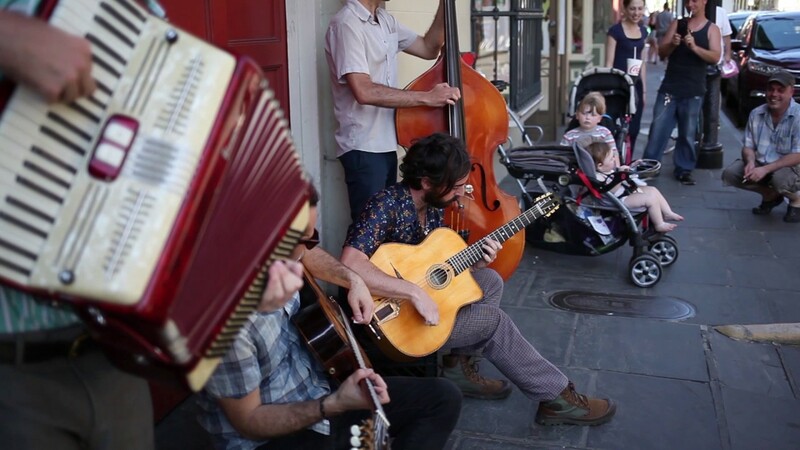 Mixing French bistro, New Orleans dance party, and New York sophistication, the Bailsmen have been inspired by Django Reinhardt, Louis Armstrong, Duke Ellington, and Sidney Bechet since 2011. In the last 7 years, the Bailsmen have expanded their repertoire to include original compositions and modern adaptations of classic French and American jazz and swing tunes, as well as innovative takes on Django Reinhardt’s gypsy-inspired jazz. But no matter what they’re playing, it’s hot. The Bailsmen have performed for The Rainbow Room, Conde Nast, New York Fashion Week, The Gramercy Park Hotel, Huffington Post, and many private concerts, weddings, summer rooftop parties, and events everywhere from the 5 boroughs, the Hudson Valley, the Hamptons, to all the way down the East Coast to New Orleans. This vibrant collection of young Brooklyn musicians is sure to charm the crowd anywhere and everywhere. A little bit of New Orleans Hot Jazz and European Gypsy Swing.